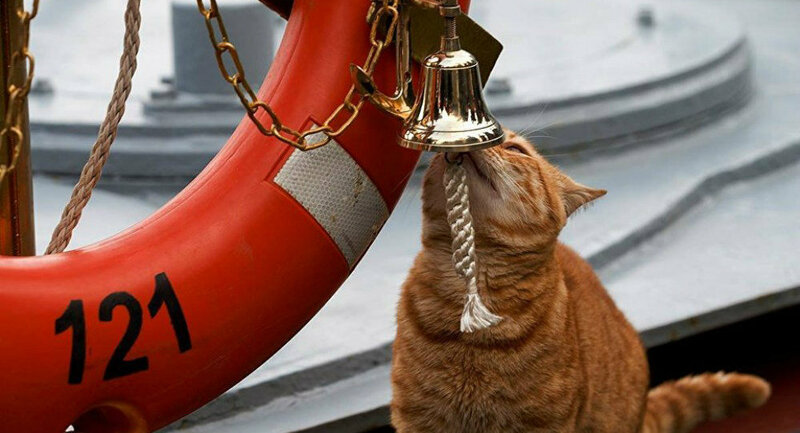 The Russian Ministry of Defense has released new photos of 'Sergei Ivanovich', an orange tabby cat taking part in the voyage of Russian naval vessels to the Syrian coast. The MoD revealed the cat's name after complaints by social media users over the fact that his name had not been disclosed. Sergei Ivanovich, the orange tabby onboard the Moskva missile cruiser, became an overnight star among Russian social media users earlier this week after the Russian Defense Ministry published a photo of him on its Facebook page. Caving to public pressure and posting more photos of the honorary 'Seaman' on Tuesday night, the Defense Ministry also revealed his name, a combination of two of the most popular Russian names, Sergei, and the patronymic variant of Ivan. Social media users have already jumped on the new information, with some saying the valiant sailor deserves an increase in rank. Others have suggested that Sergei Ivanovich may be a false name, given to protect the cat's real identity. Sergei Ivanovich the cat among the men aboard the Russian guided missile cruiser Moskva. 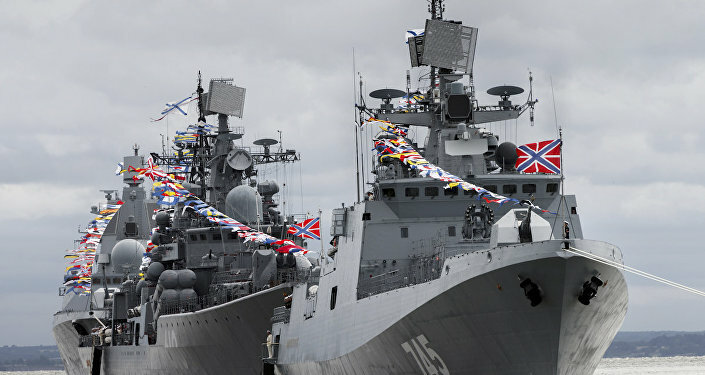 The Moskva, flagship of the Russian Black Sea Fleet, has repeatedly gone on duty in the eastern Mediterranean to provide naval cover for the Russian airbase in Hmeymim, Syria amid Russia's ongoing counterterrorism mission in that war-torn country. The lead ship of the Project 1164 Atlant class of guided missile cruisers, the Moskva, originally named the Slava ('Glory') was recommissioned and moved to Sevastopol in 2000. The warship, nicknamed the 'carrier killer' back in Soviet days, has been modernized with cutting-edge sensor, navigation, radar, and electronic warfare systems, and is armed with some of Russia's most advanced anti-ship, air defense, and anti-sub missiles, mortars and torpedoes.